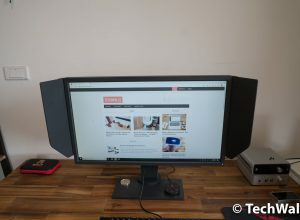 Dell UltraSharp U3415W Curved Monitor Review - The Best Ultra-wide Screen? 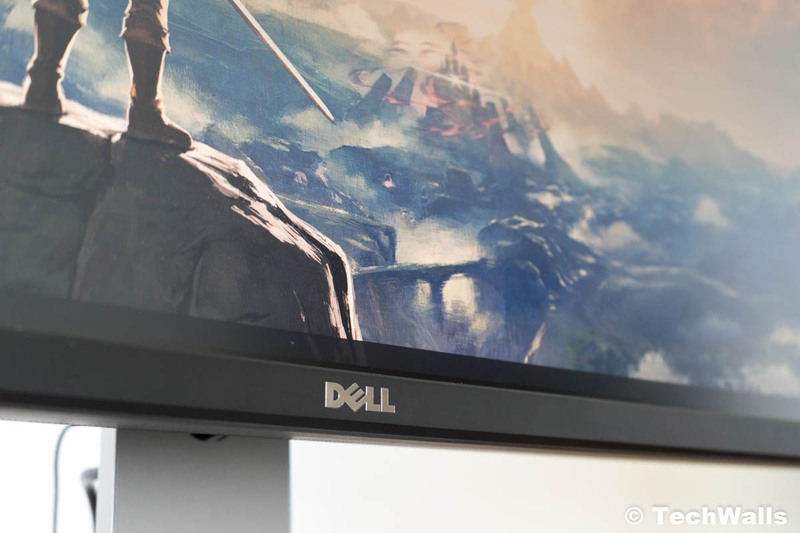 Dell UltraSharp U3415W Curved Monitor Review – The Best Ultra-wide Screen? 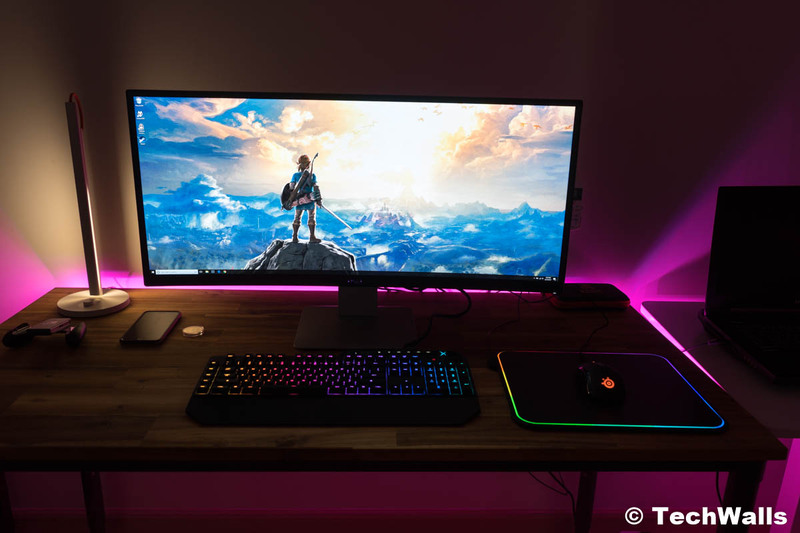 Ultra-wide monitors might not get to the mainstream yet but they are still an attractive option for anyone who wants to produce and consume content. I was quite satisfied with the Dell P2715Q 4K monitor but I decided to make a change since I need more screen real estate for my work. 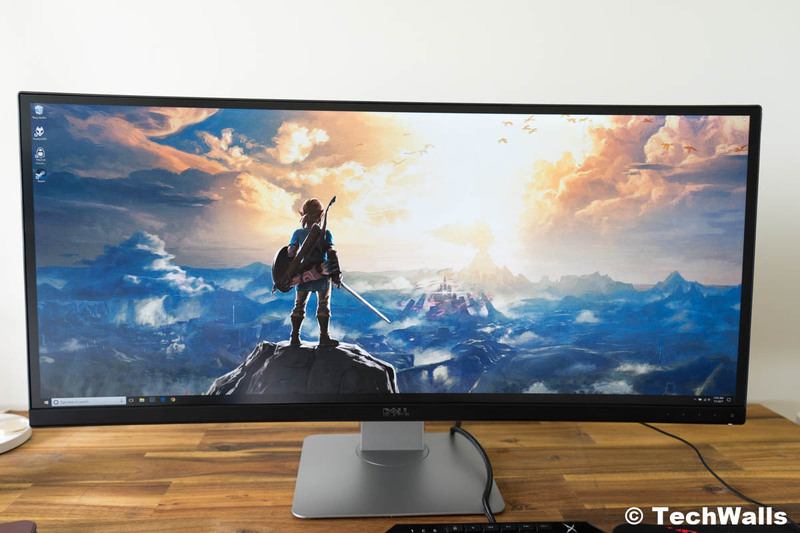 The Dell UltraSharp U3415W appears to be the best ultra-wide monitor on the market although it was released 2 years ago. Let’s see if this monitor is suitable for an average consumer like me. The Dell U3415Q features a very similar design and build quality as my previous Dell monitors. We can still see the familiar plastic exterior and a very sturdy stand. The 34-inch display is quite big but it doesn’t feel bulky at all. It is because the bezels around the screen are decreased and we no longer see a thick plastic frame. Inside the box, there are the monitor, a stand, a cable cover, a power cable, an HDMI cable, a Mini-DP to DP cable, and a USB3.0 upstream cable. 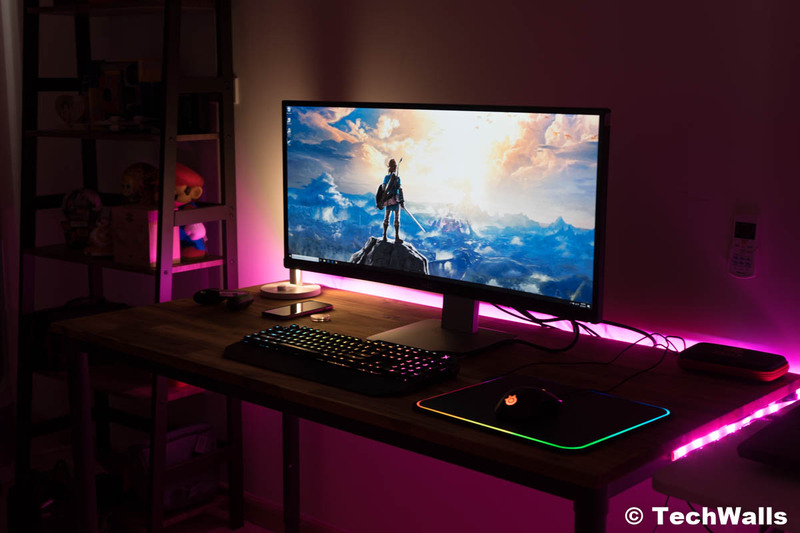 The monitor uses the standard 100 x 100mm VESA mounting system, so you totally can get rid of the stand and mount it on the wall for a cleaner setup. I am using the stand since it feels more stable and my desk is pretty spacious. The stand allows me to adjust the height of the display, I can also tilt and swivel to direct the screen to my eye level. There is a built-in cable management on the back, so all cables could be hidden away easily. The ultra-wide monitor has a wide range of ports on the back. 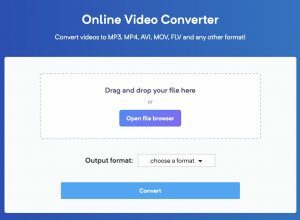 Here you can find a power cord connector, an MHL connector to connect your phone/tablet, an HDMI 2.0 port, a DisplayPort in, a Mini-DisplayPort in, a DisplayPort out for Multi-Stream Transport monitor, an audio-line out, USB downstream and USB upstream ports. Notably, the monitor has built-in speakers which are located on the bottom. I see a wide speaker grille there with two 9W speakers underneath, so I expected the sound would be something good. In fact, the sound quality is better than my laptop but it is still terrible, even when compared to $30 portable speakers. 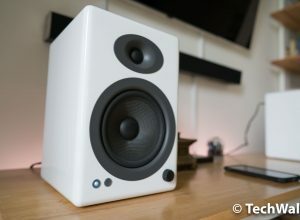 I recommend you to use external speakers if you want to have a better music/movie experience. I hate that Dell uses touch-sensitive buttons again on this monitor. The buttons don’t offer tactile feedback, so it becomes more difficult when you want to power on/off the monitor or change a setting there. Fortunately, the buttons are more responsive than the ones found on other Dell monitors. You can tap on any of the 4 control buttons to open the OSD menu, then you will be able to adjust volume, change input source, adjust brightness/contrast, adjust color setting mode, adjust the image, or enable Picture-by-Picture (PBP) mode. I really love the PBP mode since I can see two different images from two computers/laptops now. For instance, I can connect my Windows PC to the monitor via DP port and connect my MacBook via HDMI port, then I can see both of them on the same screen. I can arrange the two windows in Picture-in-Picture mode or place them next to each other. This is a curved screen but you might not notice the difference if you are sitting in front of it. I even thought it is a flat screen when I first saw it at the store. This is because the curvature is subtle to avoid causing distortion. 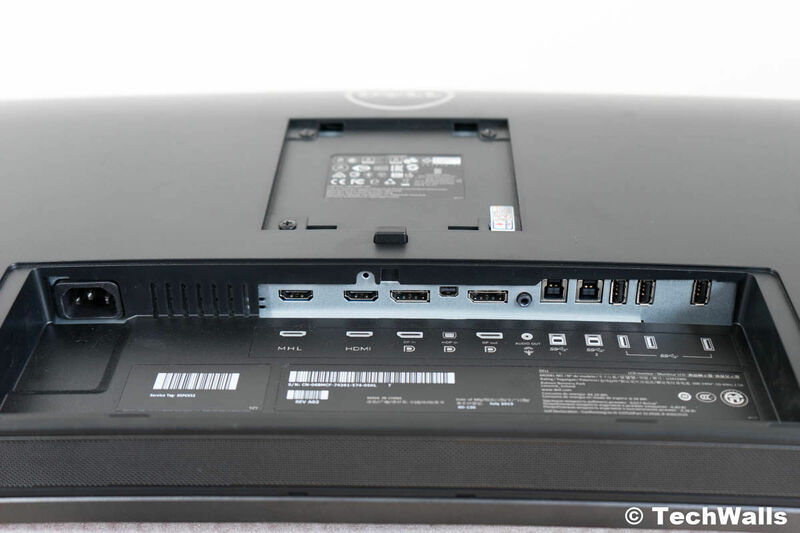 If you want a bigger curvature, you might want to look at the Dell U3417W. I prefer this one because there is almost no distortion as I’m aware of. Therefore, I totally can use the monitor for photo and video editing. Of course, there is a slight image distortion but it’s a small compromise for an immersive viewing experience you will get. The monitor is much bigger than my previous 4K monitor but it has a lower resolution at 3440×1440 pixels at 60Hz, a response time of 5ms, and an aspect ratio of 21:9. The specs are obviously not the best but they are more than enough in real life. I’m quite impressed with the text clarity, sharpness, high contrast ratio of 1000:1, and accurate color out of the box. I didn’t have to do any calibration and still receive a punchy image quality already. The monitor is pre-calibrated with a color gamut of 99% sRGB and an average Delta E < 3. The display does not provide a full Adobe RGB spectrum (lower than 70%), so the color space coverage is not as wide as some expensive dedicated monitors. Having said that, the color coverage of sRGB and AdobeRGB1998 is adequate for amateur photographers, video editors, and gamers. 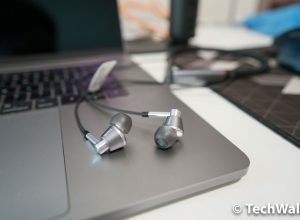 I find out that the monitor delivers characteristics similar to the ones on the MacBook Pro 15 Retina display, so if you’re happy with the MacBook’s display, you will love this monitor too. Similar to other IPS displays, the Dell U3415W has a very wide viewing angle but it still has the problem with backlight bleed around edges. However, you can only see the bleeding in the dark with a black background, it is unnoticeable in everyday usage. Overall, the Dell Ultrasharp U3415W is among the best ultra-wide monitors at the moment. It is suitable for average gamers, photographers, videos editors, or any professionals looking for a larger workspace. The price of the monitor is also heavily discounted as compared to a few years ago. We at TechWalls highly recommend the product. 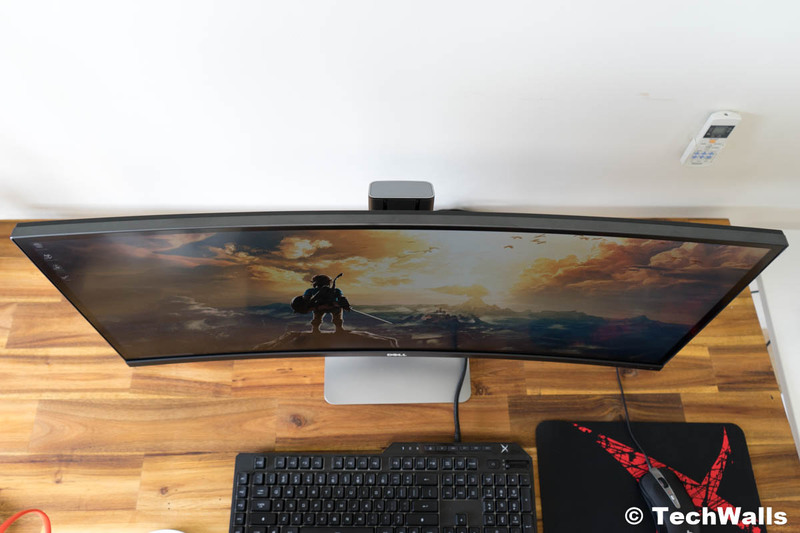 The best ultra-wide monitor with 21:9 aspect ratio.